Each one of the following fat burning foods is clinically proven to promote weight loss. 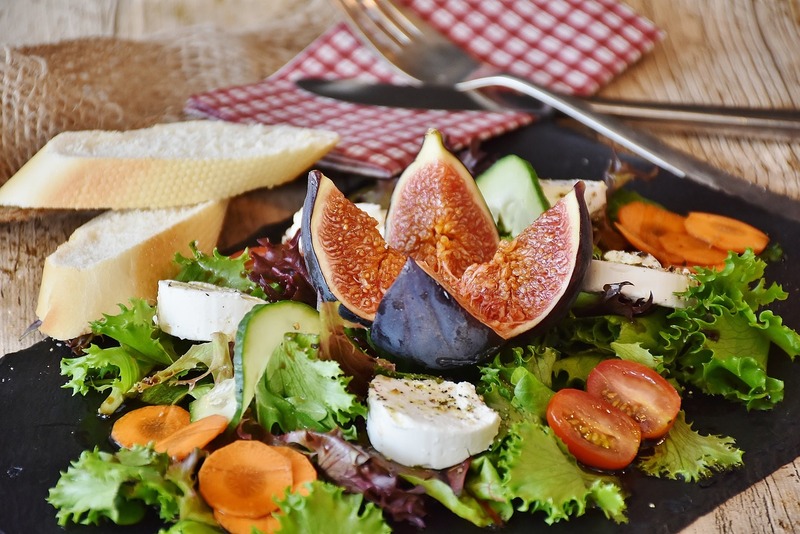 These fat burning foods go a step beyond simply adding no fat to your system – they possess special properties that add zip to your system and help your body melt away unhealthy pounds. These incredible foods that burn fat can suppress your appetite for junk food and keep your body running smoothly with clean fuel and efficient energy. You can include these fat burning foods in any sensible weight-loss plan. 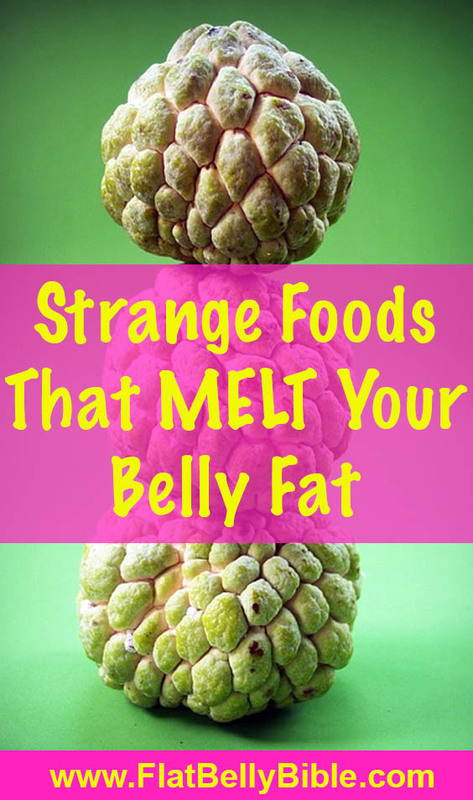 They give your body the extra metabolic kick that it needs to shave off weight quickly. A sensible weight loss plan calls for no fewer that 1,200 calories per day. 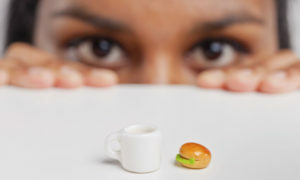 But Dr. Charles Klein recommends consuming more that that, if you can believe it – 1,500 to 1,800 calories per day. 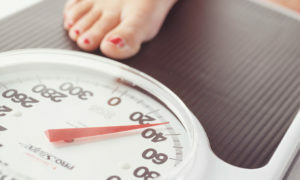 He says you will still lose weight quite effectively at that intake level without endangering your health. Hunger is satisfied more completely by filling the stomach. Ounce for ounce, the fat burning foods listed below accomplish that better than any others. At the same time, these fat burning fruits and flat belly foods are rich in nutrients and possess special fat-melting qualities. First of all, they elevate your blood glucose (sugar) levels in a safe, gentle manner and keep them up longer than most foods. The practical effect of this is to leave you feeling satisfied longer, say researchers. You needn’t dread bread. It’s the butter, margarine or cream cheese you put on it that’s fattening, not the bread itself. We’ll say this as often as needed – fat is fattening. 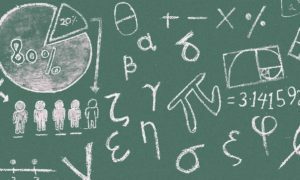 If you don’t believe that, ponder this – a gram of carbohydrate has four calories, a gram of protein four, and a gram of fat nine. So which of these is really fattening? Bread, a natural source of fiber and complex carbohydrates, is okay for dieting. 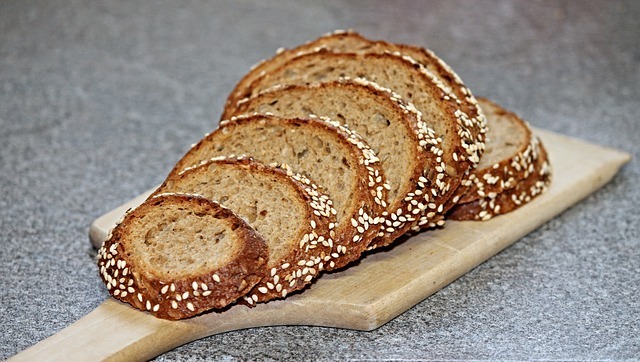 Norwegian scientist Dr. Bjarne Jacobsen found that people who eat less than two slices of bread daily weigh about 11 pounds more that those who eat a lot of bread. Studies at Michigan State University show some breads actually reduce the appetite. Researchers compared white bread to dark, high-fiber bread and found that students who ate 12 slices a day of the dark, high-fiber bread felt less hunger on a daily basis and lost five pounds in two months. Others who ate white bread were hungrier, ate more fattening foods and lost no weight during this time. Easy does it is the watchword here. We’ve all heard about potential dangers of caffeine – including anxiety and insomnia – so moderation is the key. This makes sense, since caffeine is a stimulant. Studies show it can help you burn more calories than normal, perhaps up to 10 percent more. For safety’s sake, it’s best to limit your intake to a single cup in the morning and one in the afternoon. Add only skim milk to it and try doing without sugar or sweeteners – many people learn to love it that way. There’s good reason for this traditional diet food to be a regular part of your diet. 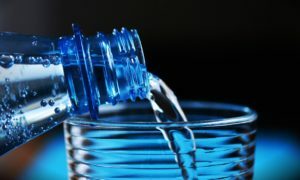 It helps dissolve fat and cholesterol, according to Dr. James Cerd of the University of Florida. 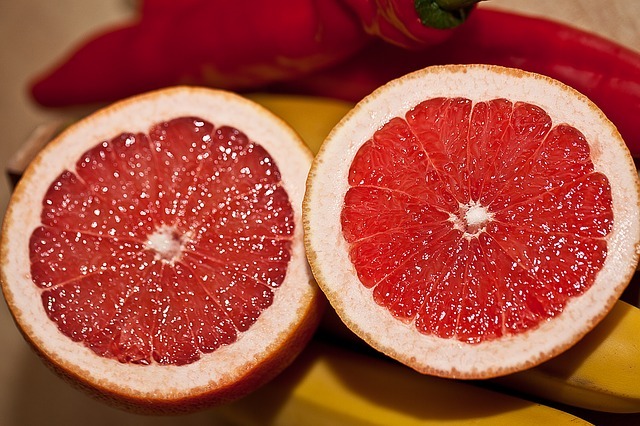 An average sized grapefruit has 74 calories, delivers a whopping 15 grams of pectin (the special fiber linked to lowering cholesterol and fat), is high in vitamin C and potassium and is free of fat and sodium. Hot, spicy chili peppers fall into the same category as hot mustard, Henry says. He studied them under the same circumstances as the mustard and they worked just as well. A mere three grams of chili peppers were added to a meal consisting of 766 total calories. 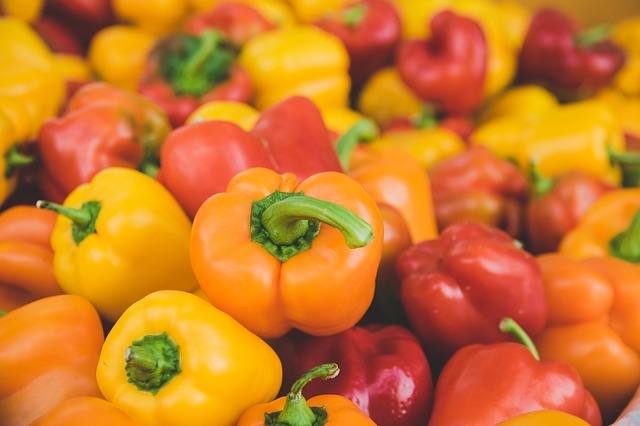 The peppers’ metabolism-raising properties worked like a charm, leading to what Henry calls a diet-induced thermic effect. It doesn’t take much to create the effect. Most salsa recipes call for four to eight chilies – that’s not a lot. We’ve got to be kidding, right? Wrong. Potatoes have developed the same “fattening” rap as bread, and it’s unfair. Dr. John McDougal, director of the nutritional medicine clinic at St. Helena Hospital in Deer Park, California, says, “An excellent food with which to achieve rapid weight loss is the potato, at 0.6 calories per gram or about 85 calories per potato.” A great source of fiber and potassium, they lower cholesterol and protect against strokes and heart disease. Preparation and toppings are crucial. Steer clear of butter, milk and sour cream, or you’ll blow it. Opt for yogurt instead. 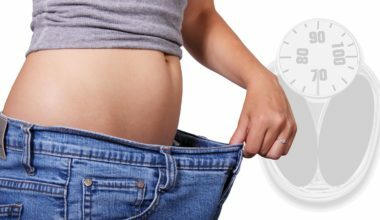 An entire weight-loss plan, simple called the Rice Diet, was developed by Dr. William Kempner at Duke University in Durham, North Carolina. 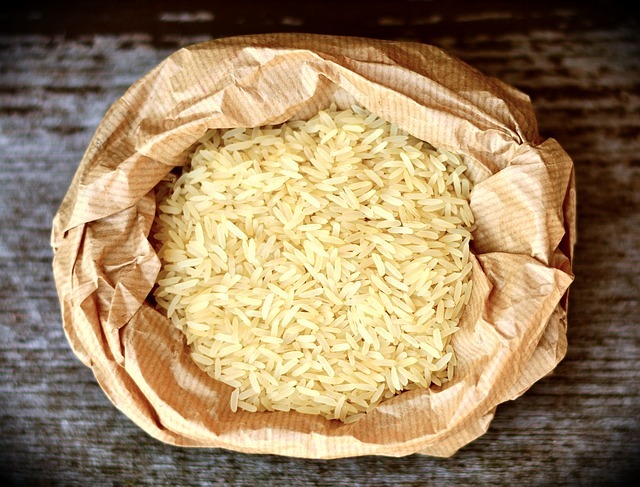 The diet, dating to the 1930’s, makes rice the staple of your food intake. Later on, you gradually mix in various fruits and vegetables. 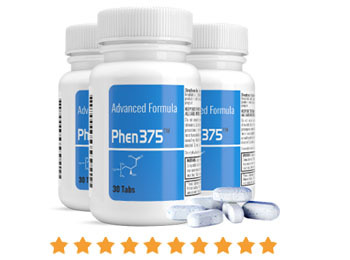 It produces stunning weight loss and medical results. 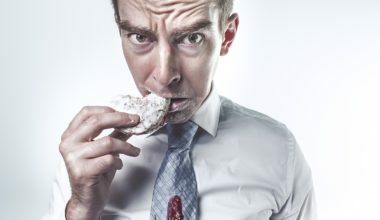 The diet has been shown to reverse and cure kidney ailments and high blood pressure. A cup of cooked rice (150 grams) contains about 178 calories – approximately one-third the number of calories found in an equivalent amount of beef or cheese. And remember, whole grain rice is much better for you than white rice. Popeye really knew what he was talking about, according to Dr. Richard Shekelle, an epidemiologist at the University of Texas. 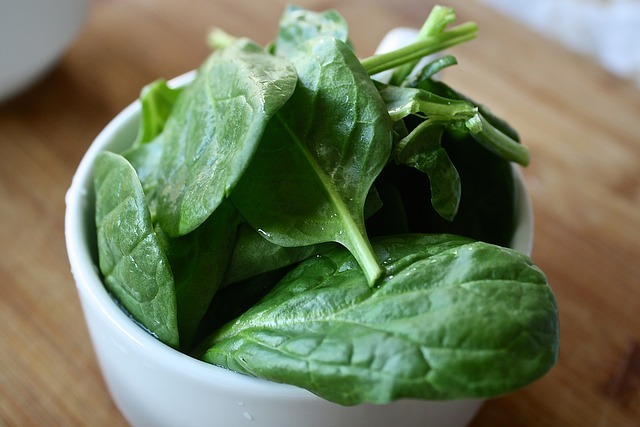 Spinach has the ability to lower cholesterol, rev up the metabolism and burn away fat. 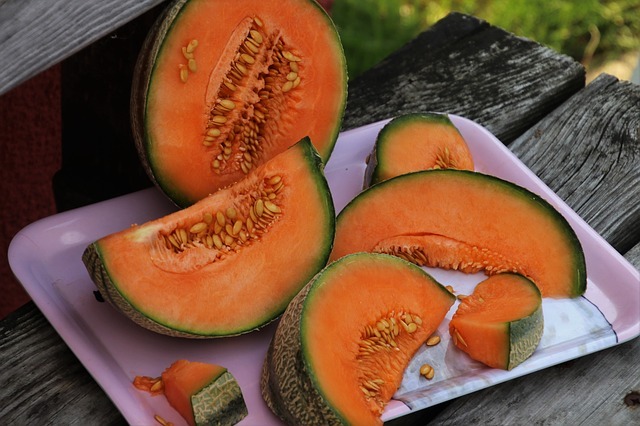 Rich in iron, beta carotene and vitamins C and E, it supplies most of the nutrients you need. You just can’t say enough about this health food from Asia. 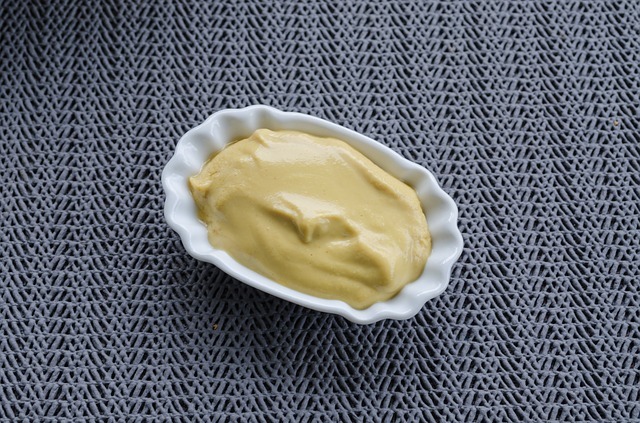 Also called soybean curd, it’s basically tasteless, so any spice or flavoring you add blends with it nicely. A 21⁄2 ” square has 86 calories and nine grams of protein. (Experts suggest an intake of about 40 grams per day.) 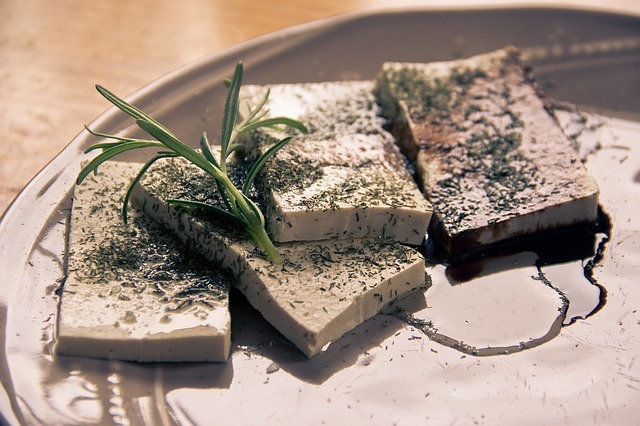 Tofu contains calcium and iron, almost no sodium and not a bit of saturated fat. It makes your metabolism run on high and even lowers cholesterol. With different varieties available, the firmer tofus are goof for stir-frying or adding to soups and sauces while the softer ones are good for mashing, chopping and adding to salads. Once feared for being high in cholesterol, whole eggs have recently been making a comeback. 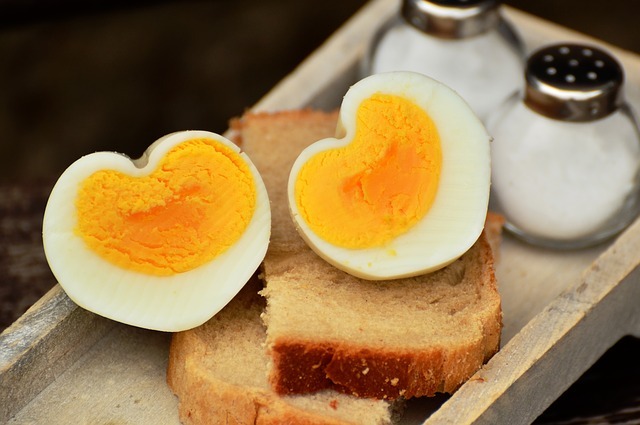 According to two new studies, eggs neither adversely affect blood cholesterol nor cause heart attacks – read the studies here and here. What’s more, they’re one of the best foods to eat if you need to lose weight, as they’re high in protein, healthy fats and can make you feel full with a very low amount of calories. One study in 30 overweight women showed that eating eggs for breakfast, instead of bagels, increased feelings of fullness (satiety) and made participants eat less for the next 36 hours. Another eight-week study found that eggs for breakfast increased weight loss on a calorie restricted diet, compared to bagels. Eggs are also incredibly nutrient dense and can help you get all the nutrients you need on a calorie-restricted diet. Interestingly, almost all the nutrients are found in the yolks. This filling grain stacks up favorably to rice and potatoes. It has 170 calories per cooked cup, respectable levels of protein and fiber and relatively low fat. Roman gladiators ate this grain regularly for strength and actually complained when they had to eat meat. 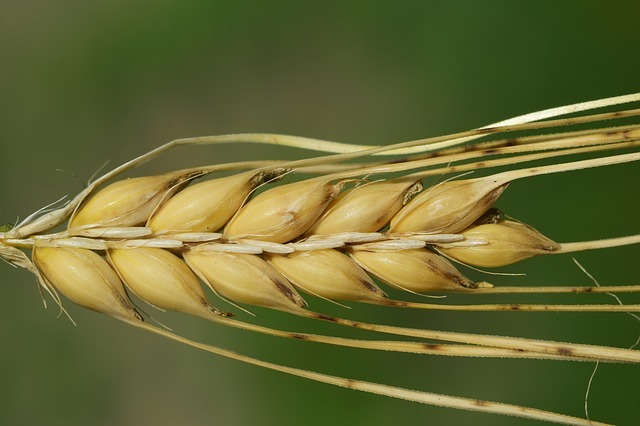 Studies at the University of Wisconsin show that barley effectively lowers cholesterol by up to 15 percent and has powerful anti-cancer agents. Israeli scientists say it cures constipation better than laxatives – and that can promote weight loss, too. Use it as a substitute for rice in salads, pilaf or stuffing, or add to soups and stews. You can also mix it with rice for an interesting texture. Ground into flour, it makes excellent breads and muffins. Beans are one of the best sources of plant protein. Peas, beans and chickpeas are collectively known as legumes. 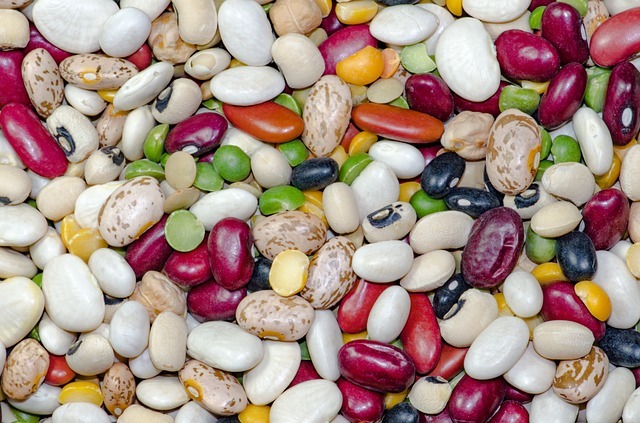 Most common beans have 215 calories per cooked cup (lima beans go up to 260). 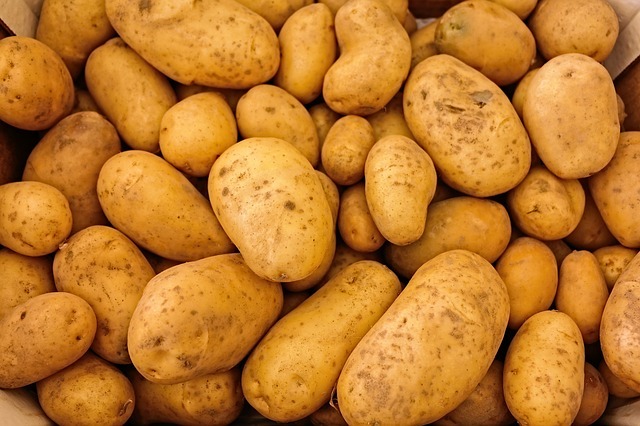 They have the most protein with the least fat of any food, and they’re high in potassium but low in sodium. Plant protein is incomplete, which means that you need to add something to make it complete. Combine beans with a whole grain – rice, barley, wheat, corn – to provide the amino acids necessary to form a complete protein. Then you get the same top-quality protein as in meat with just a fraction of the fat. The most common complaint about beans is that they cause gas. 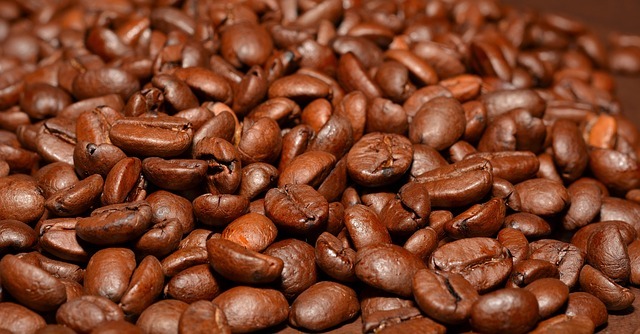 Here’s how to contain that problem, according to the U.S. Department of Agriculture (USDA): Before cooking, rinse the beans and remove foreign particles, put in a kettle and cover with boiling water, soak for four hours or longer, remove any beans that float to the top, then cook the beans in fresh water. This is the perfect weight-loss food. 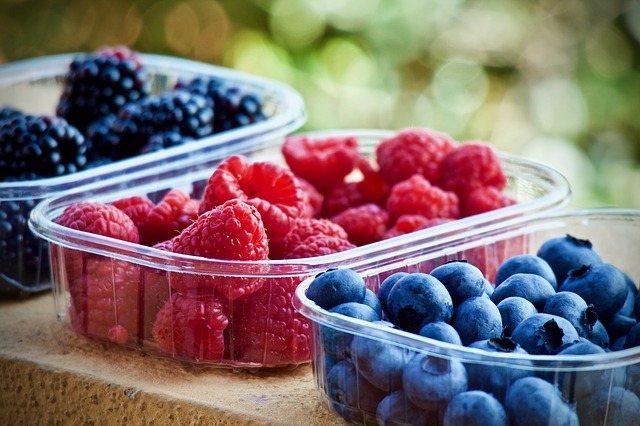 Berries have natural fructose sugar that satisfies your longing for sweets and enough fiber so you absorb fewer calories that you eat. 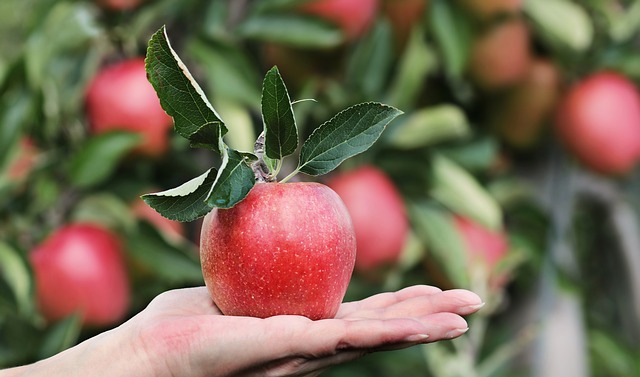 British researchers found that the high content of insoluble fiber in fruits, vegetables and whole grains reduces the absorption of calories from foods enough to promote width loss without hampering nutrition. Broccoli is America’s favorite vegetable, according to a recent poll. No wonder. 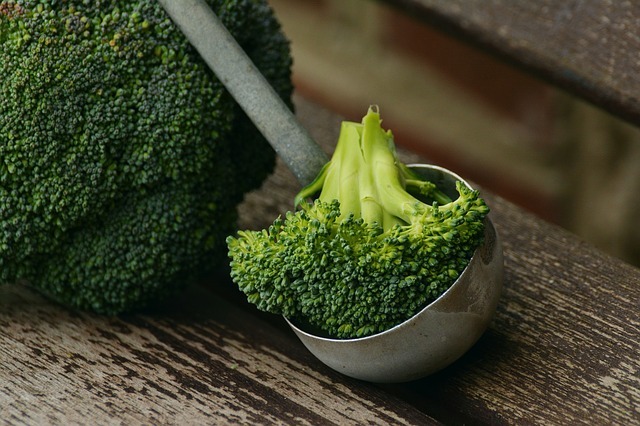 A cup of cooked broccoli has a mere 44 calories. It delivers a staggering nutritional payload and is considered the number one cancer-fighting vegetable. It has no fat, loads of fiber, cancer fighting chemicals called indoles, carotene, 21 times the RDA of vitamin C and calcium. 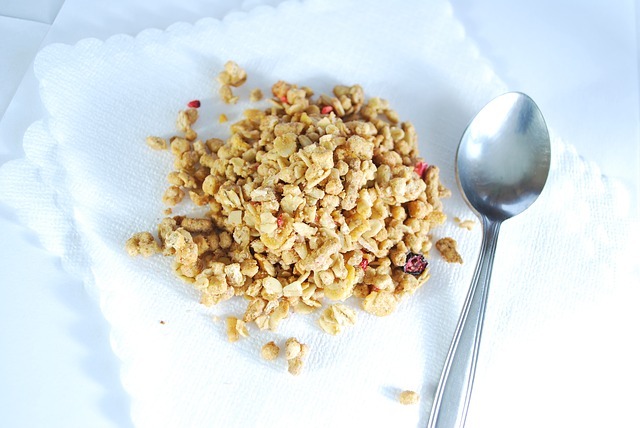 It’s great for pancakes, breads, cereal, soups or alone as a grain dish commonly called kasha. It has 155 calories per cooked cup. Research at the All India Institute of Medical Sciences shows diets including buckwheat lead to excellent blood sugar regulation, resistance to diabetes and lowered cholesterol levels. You cook buckwheat the same way you would rice or barley. Bring two to three cups of water to a boil, add the grain, cover the pan, turn down the heat and simmer for 20 minutes or until the water is absorbed. This Eastern Europe staple is a true wonder food. There are only 33 calories in a cup of cooked shredded cabbage, and it retains all its nutritional goodness no matter how long you cook it. 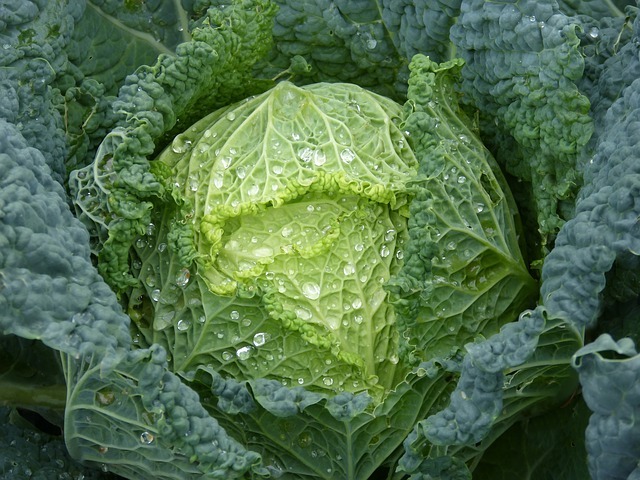 Eating cabbage raw (18 calories per shredded cup), cooked, as sauerkraut (27 calories per drained cup) or coleslaw (calories depend on dressing) only once a week is enough to protect against colon cancer. And it may be a longevity-enhancing food. Surveys in the United States, Greece and Japan show that people who eat a lot of it have the least colon cancer and the lowest death rates overall. What list of health-promoting, fat-fighting foods would be complete without Bugs Bunny’s favorite? 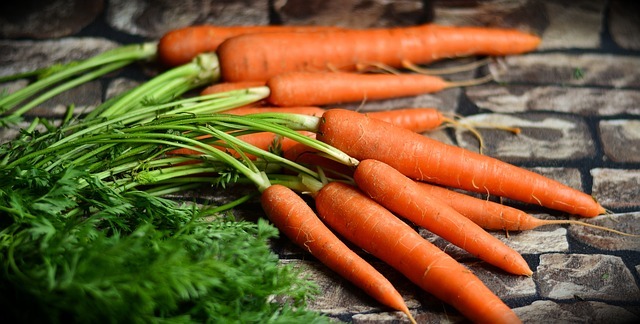 A medium-sized carrot carries about 55 calories and is a nutritional powerhouse. The orange color comes from beta carotene, a powerful cancer-preventing nutrient (provitamin A). Chop and toss them with pasta, grate them into rice or add them to a stir-fry. Combine them with parsnips, oranges, raisins, lemon juice, chicken, potatoes, broccoli or lamb to create flavorful dishes. Spice them with tarragon, dill, cinnamon or nutmeg. 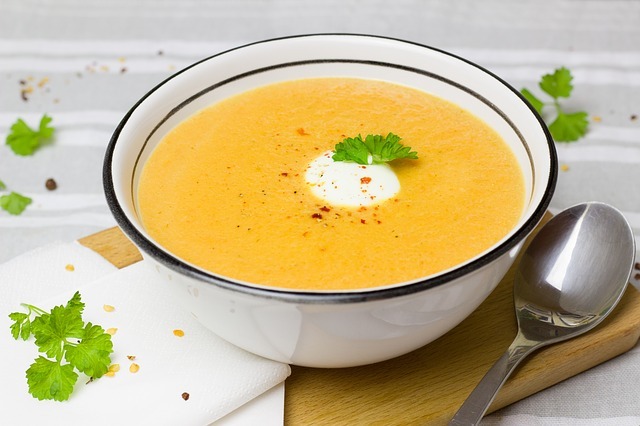 Add finely chopped carrots to soups and spaghetti sauce – they impart a natural sweetness without adding sugar. 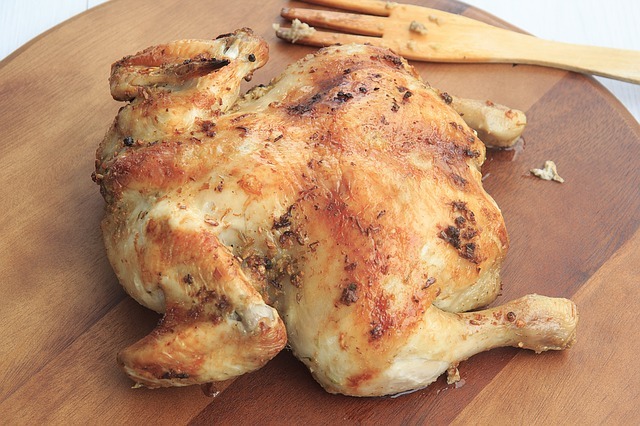 White meat contains 245 calories per four ounce serving and dark meat, 285. It’s an excellent source of protein, iron, niacin and zinc. 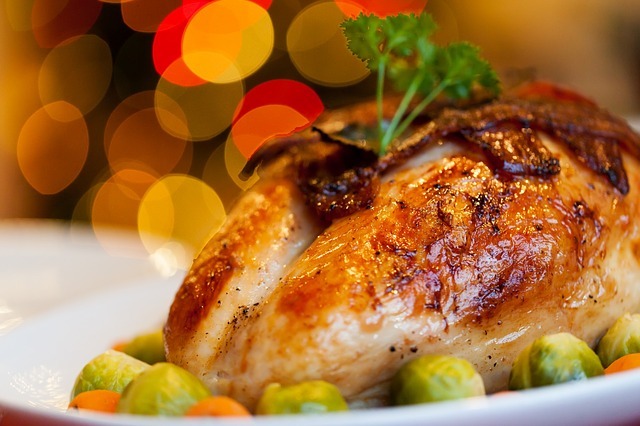 Skinned chicken is healthiest, but most experts recommend waiting until after cooking to remove it because the skin keeps the meat moist during cooking. It’s really a grain – not a vegetable – and is another food that’s gotten a bum rap. People think it has little to offer nutritionally and that just isn’t so. There are 178 calories in a cup of cooked kernels. 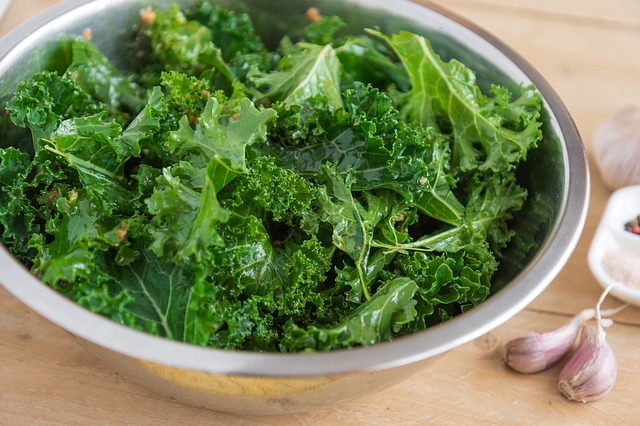 It contains good amounts of iron, zinc and potassium, and University of Nebraska researchers say it delivers a high-quality of protein, too. The Tarahumara Indians of Mexico eat corn, beans and hardly anything else. Virgil Brown, M.D., of Mount Sinai School of Medicine in New York, points out that high blood cholesterol and cardiovascular heart disease are almost nonexistent among them. As long as we’re talking about losing weight and fat-fighting foods, we had to mention cottage cheese. 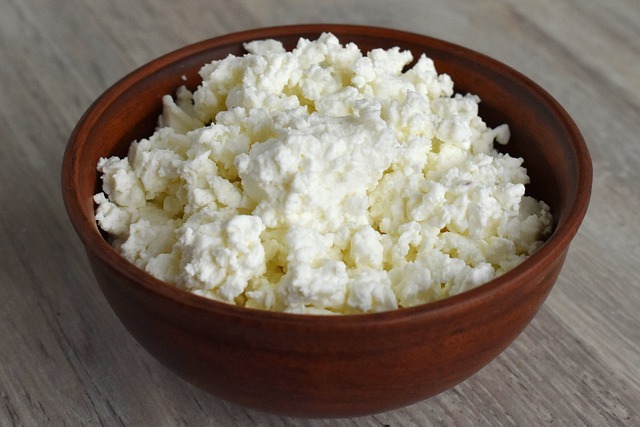 Low-fat (2%) cottage cheese has 205 calories per cup and is admirably low in fat, while providing respectable amounts of calcium and the B vitamin riboflavin. 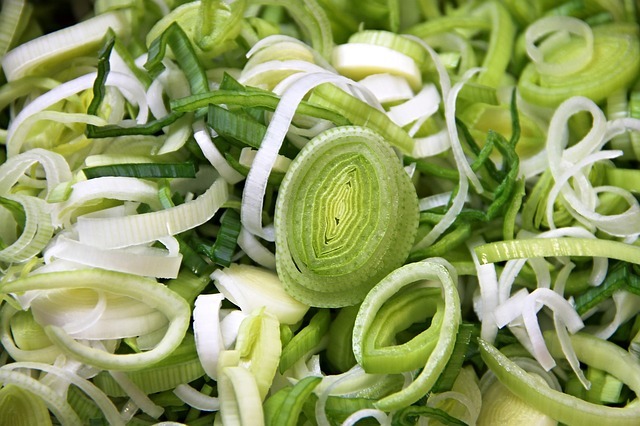 Season with spices such a dill, or garden fresh vegetable such a scallions and chives for extra zip. To make it sweeter, add raisins or one of the fruit spreads with no sugar added. You can also use cottage cheese in cooking, baking, fillings and dips where you would otherwise use sour cream or cream cheese. 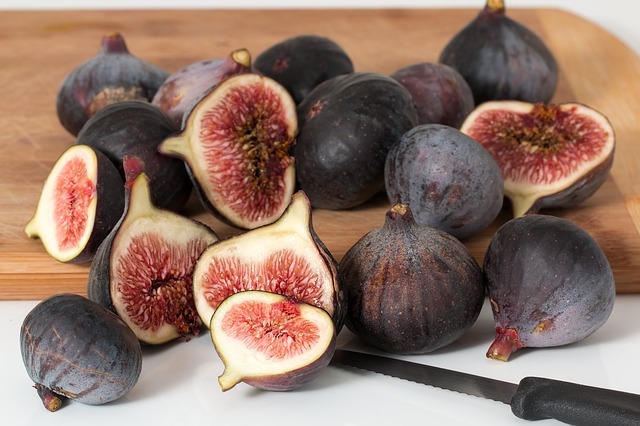 Fiber-rich figs are low in calories at 37 per medium (2.25″ diameter) raw fig and 48 per dried fig. A recent study by the USDA demonstrated that they contribute to a feeling of fullness and prevent overeating. 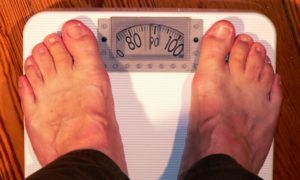 Subjects actually complained of being asked to eat too much food when fed a diet containing more figs than a similar diet with an identical number of calories. Serve them with other fruits and cheeses. Or poach them in fruit juice and serve them warm or cold. You can stuff them with mild white cheese or puree them to use as a filling for cookies and low- calorie pastries. The health benefits of fish are greater than experts imagined – and they’ve always considered it a health food. The calorie count in the average four-ounce serving of a deep-sea fish runs from a low of 90 calories in abalone to a high of 236 in herring. Water-packed tuna, for example, has 154 calories. It’s hard to gain weight eating seafood. 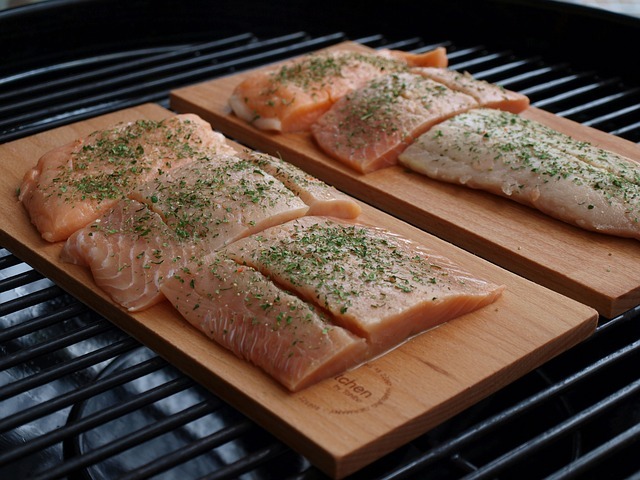 As far back as 1985, articles in the New England Journal of Medicine showed a clear link between eating fish regularly and lower rates of heart disease. The reason is that oils in fish thin the blood, reduce blood pressure and lower cholesterol. Dr. Joel Kremer, at Albany Medical College in New York, discovered that daily supplements of fish oil brought dramatic relief to the inflammation and stiff joints of rheumatoid arthritis. We’re talking collard, chicory, beet, kale, mustard, Swiss chard and turnip greens. They all belong to the same family as spinach, and that’s one of the super-stars. No matter how hard you try, you can’t load a cup of plain cooked greens with any more than 50 calories. They’re full of fiber, loaded with vitamins A and C, and free of fat. You can use them in salads, soups, casseroles or any dish where you would normally use spinach. 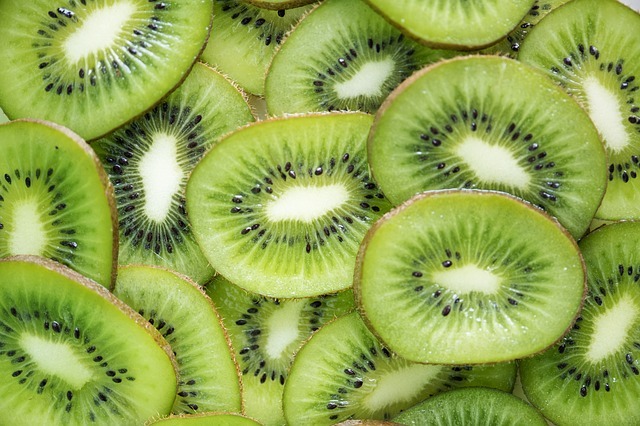 This New Zealand native is a sweet treat at only 46 calories per fruit. Chinese public health officials praise the tasty fruit for its high vitamin C content and potassium. It stores easily in the refrigerator for up to a month. Most people like it peeled, but the fuzzy skin is also edible. These members of the onion family look like giant scallions, and are every bit as healthful and flavorful as their better-known cousins. They come as close to calorie-free as it gets at a mere 32 calories per cooked cup. You can poach or broil halved leeks and then marinate them in vinaigrette or season with Romano cheese, fine mustard or herbs. They also make a good soup. 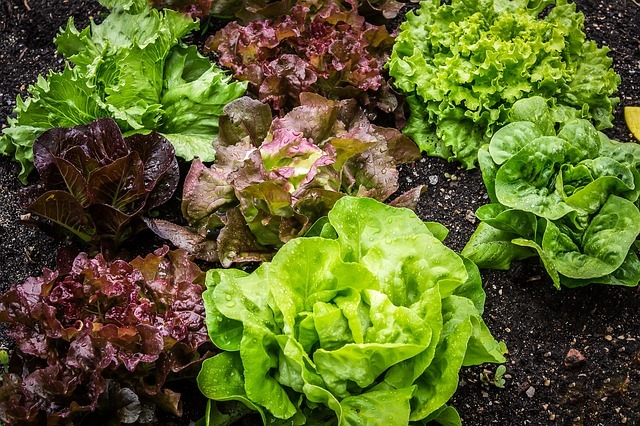 People think lettuce is nutritionally worthless, but nothing could be farther from the truth. You can’t leave it out of your weight-loss plans, not at 10 calories per cup of raw romaine. It provides a lot of filling bulk for so few calories. And it’s full of vitamin C, too. Go beyond iceberg lettuce with Boston, bibb and cos varieties or try watercress, arugula, radicchio, dandelion greens, purslane and even parsley to liven up your salads. Now, here’s great taste and great nutrition in a low-calorie package! One cup of cantaloupe balls has 62 calories, on cup of casaba balls has 44 calories, one cup of honeydew balls has 62 calories and one cup of watermelon balls has 49 calories. They have some of the highest fiber content of any food and are delicious. 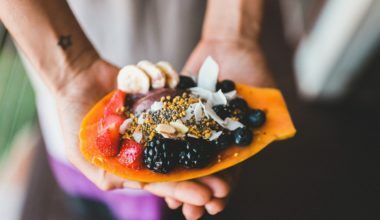 Throw in handsome quantities of vitamins A and C plus a whopping 547 mgs of potassium in that cup of cantaloupe, and you have a fat-burning health food beyond compare. 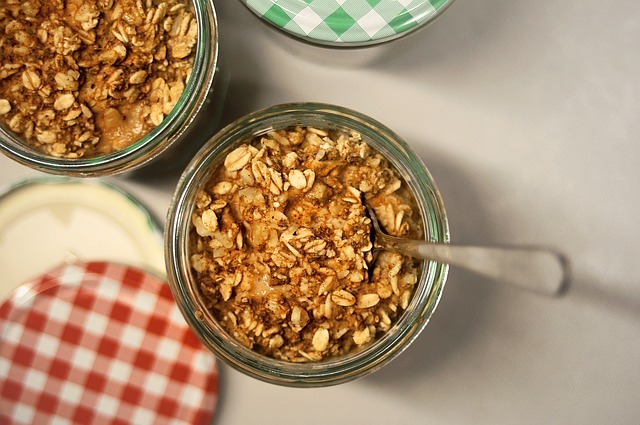 A cup of oatmeal or oat bran has only 110 calories. And oats help you lose weight. 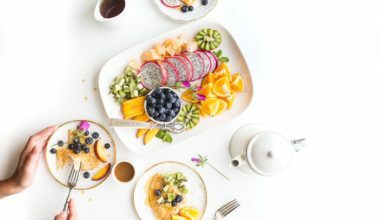 Subjects in Dr. James Anderson’s landmark 12-year study at the University of Kentucky lost three pounds in two months simply by adding 100 grams (3.5 ounces) of oat bran to their daily food intake and nothing else. Just don’t expect oats alone to perform miracles – you have to eat a balanced diet for total health. Flavorful, aromatic, inexpensive and low in calories, onions deserve a regular place in your diet. 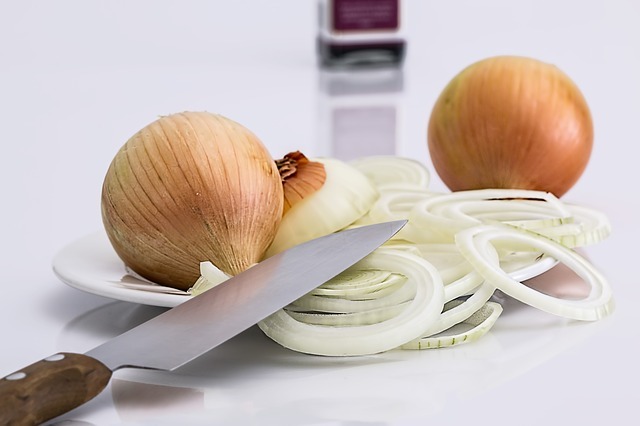 One cup of chopped raw onions has only 60 calories, and one raw medium onion (2.15″ diameter) has just 42. They control cholesterol, thin the blood, protect against cholesterol and may have some value in counteracting allergic reactions. Most of all, onions taste good and they’re good for you. Partially boil, peel and bake, basting with olive oil and lemon juice. Or sauté them in white wine and basil, then spread over pizza. Or roast them in sherry and serve over paste. Institute of Baking shows pasta is rich in six minerals, including manganese, iron, phosphorus, copper, magnesium and zinc. 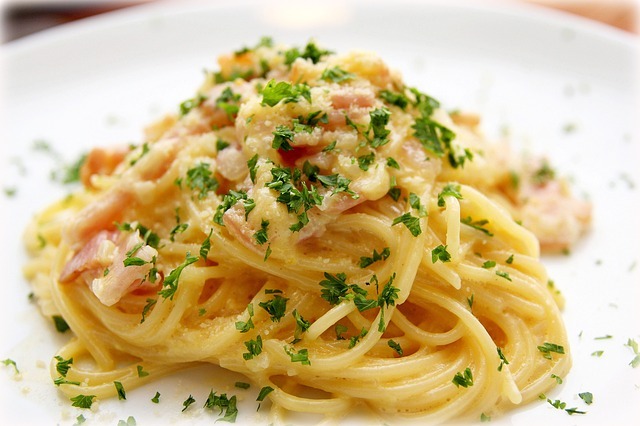 Also be sure to consider whole wheat pastas, which are even healthier. You can make a meal out of them and not worry about gaining a pound – and you sure won’t walk away from the table feeling hungry. 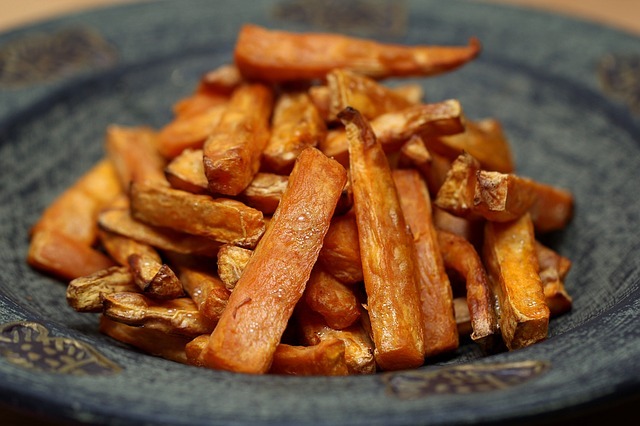 Each sweet potato has about 103 calories. Their creamy orange flesh is one of the best sources of vitamin A you can consume. You can bake, steam or microwave them. Or add them to casseroles, soups and many other dishes. Flavor with lemon juice or vegetable broth instead of butter. 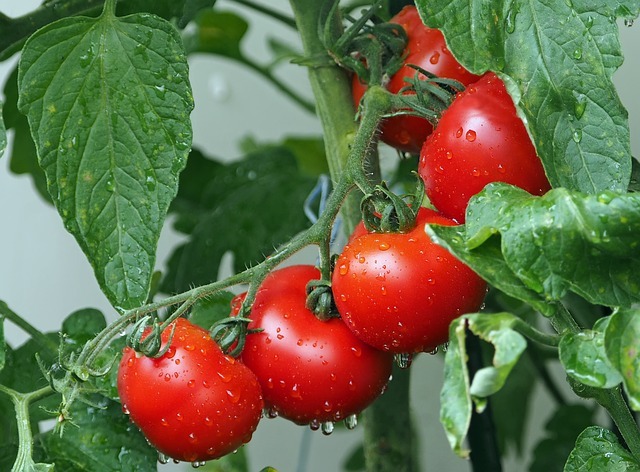 A medium tomato (2.5″ diameter) has only about 25 calories. 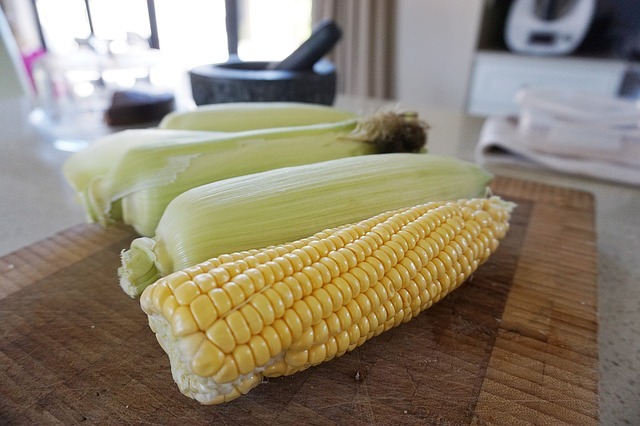 These garden delights are low in fat and sodium, high in potassium and rich in fiber. A survey at Harvard Medical School found that the chances of dying of cancer are lowest among people who eat tomatoes (or strawberries) every week. The non-fat variety of plain yogurt has 120 calories per cup and low-fat, 144. It delivers a lot of protein and , like any dairy food, is rich in calcium and contains zinc and riboflavin. Yogurt is handy as a breakfast food – cut a banana into it and add the cereal of your choice. You can find ways to use it in other types of cooking, to – sauces, soups, dips, toppings, stuffings and spreads. Many kitchen gadget departments even sell a simple funnel for making yogurt cheese. Yogurt can replace heavy creams and whole milk in a wide range of dishes, saving scads of fat and calories. You can substitute half or all of the higher fat ingredients. Be creative. For example, combine yogurt, garlic powder, lemon juice, a dash of pepper and Worcestershire sauce and use it to top a baked potato instead of piling on fat-laden sour cream. Supermarkets and health food stores sell a variety of yogurts, many with added fruit and sugar. 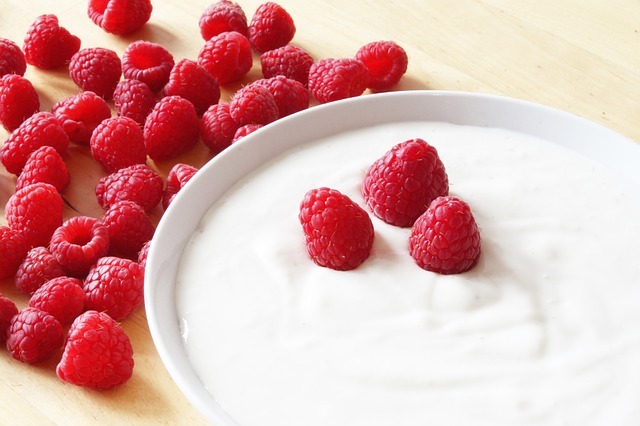 To control calories and fat content, buy plain non-fat yogurt and add fruit yourself. Apple butter or fruit spreads with little or no added sugar are an excellent way to turn plain yogurt into a delectable sweet treat. Also be sure to check out our list of 23 fat burning fruits for more excellent foods that burn fat. Thanks for reading and don’t forget to share on Facebook and Pin on Pinterest!